Hello...hello, Joni here to share some projects with you. 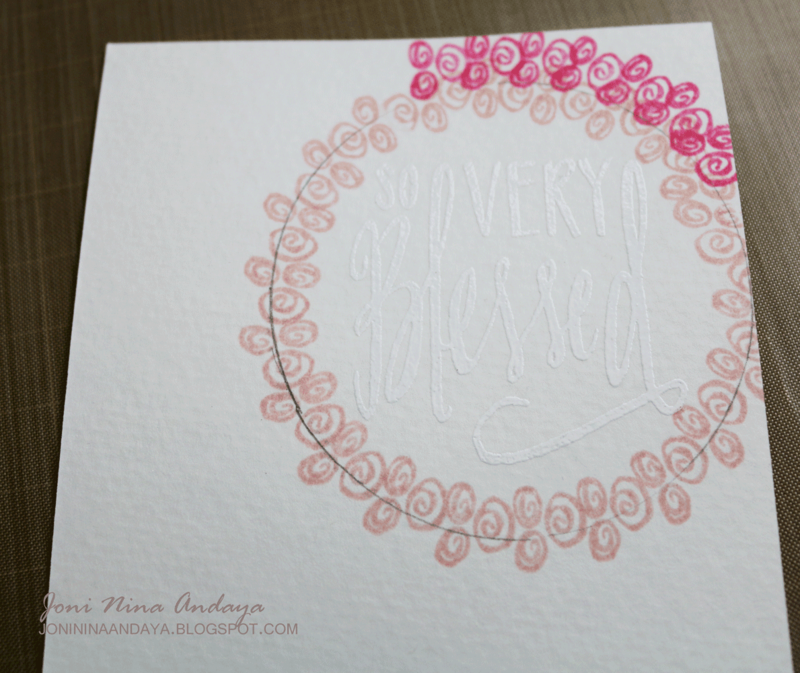 SO VERY BLESSED sentiment is so gorgeous that I couldn't help but create a flower from it. 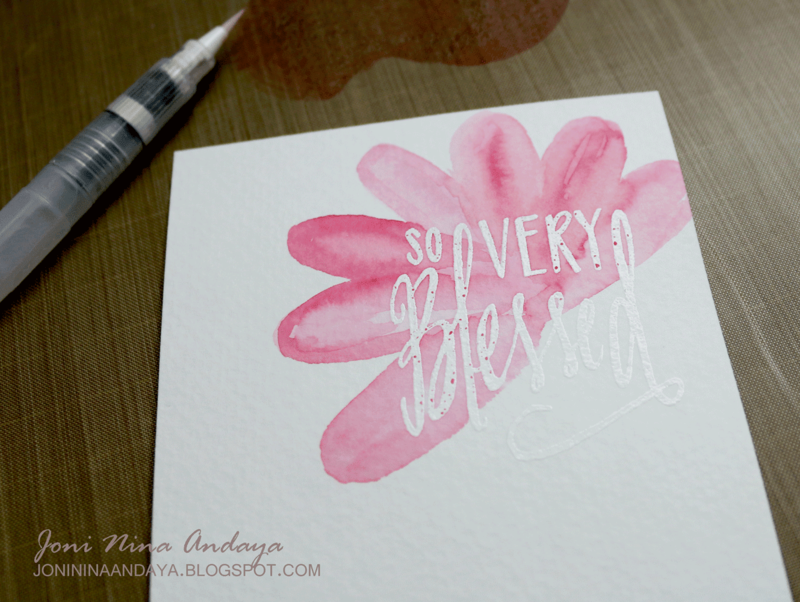 For this first project I first embossed the sentiment with white embossing powder, then I just eye ball the shape of the petals and used distress inks to create a watercolor image. You can of course create your own shape of flower with this sentiment....its really up to you no restriction :). Once I have created the shape of the petals then I darken each one for a pop of color. As for the stem and leaves I just drew them using distress marker then added water. I also added the Raspberry Red Satin sequins from Neat and Tangled to finish off the card. 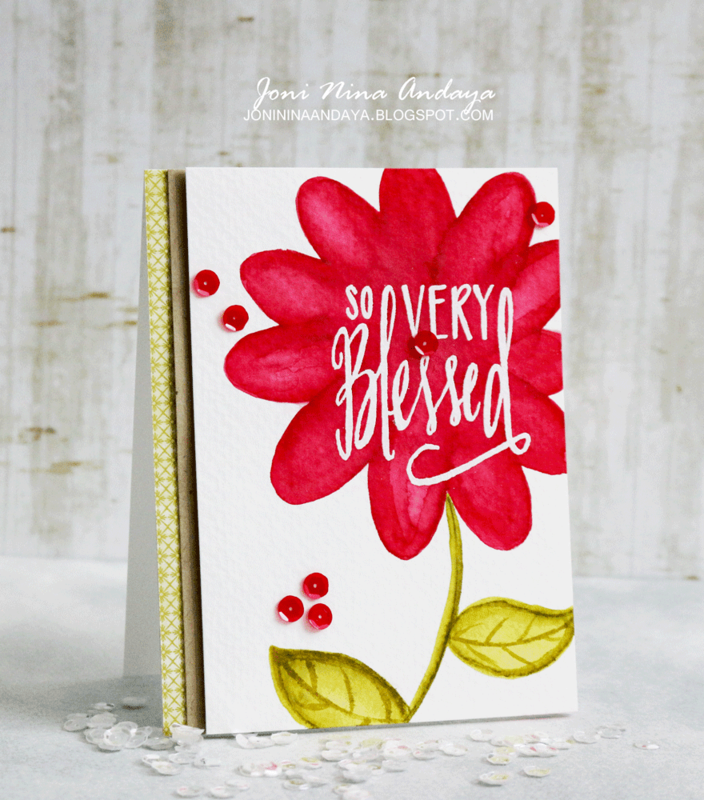 For for the second project, I also white heat embossed the sentiment, but I also drew a pencil mark as a guide to help create a circle using the flower from the set. 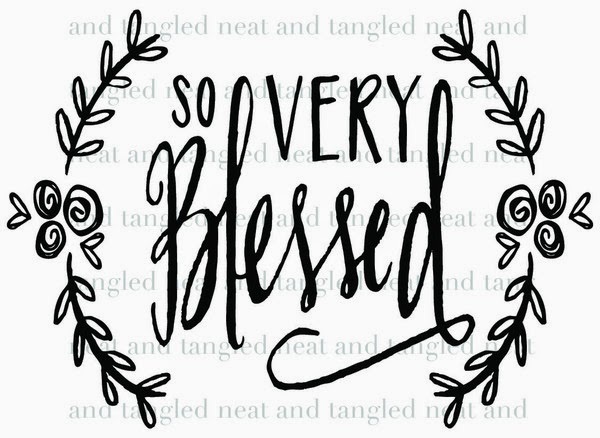 I separated the sentiment from the laurel image, this does not hurt the stamp it just gives you more flexibility for future projects. Once I am done with the stamping I removed the pencil mark and then proceed with watercoloring the flower images and the center of the flower. The stem and the leaves I drew and watercolored. I also added some splatter from the remaining distress inks on my mat. 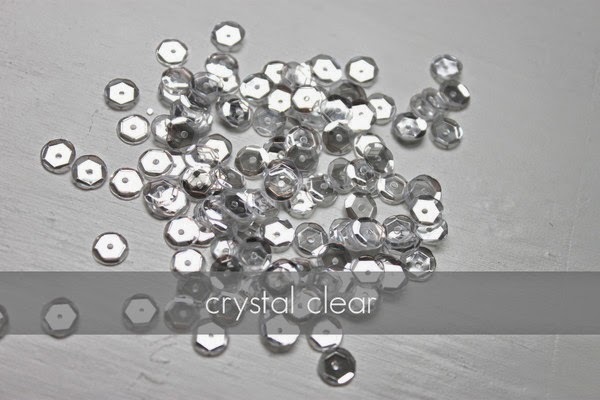 Finally, I added some Crystal Clear sequins from Neat and Tangled to finish off the card. 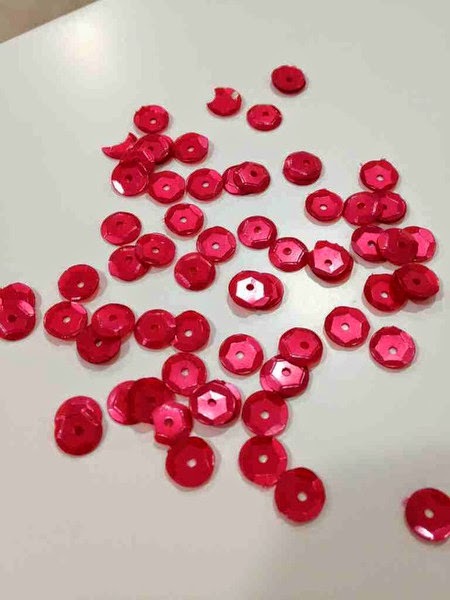 I hope you will give it a try to create different flower petal shapes using your new SO VERY BLESSED from Neat and Tangled. Joni, these are absolutely gorgeous! WOW! These are amazing!!! Love! That is just awesome, I love the detail. Great cards. I love Neat & Tangled. Stunning cards..vibrant colors and Fab design ! Love how you used the stamps and water-colors, Joni!! Gorgeous cards!! These are soooooo gorgeous! I love love love the bright colors!! These are both absolutely gorgeous!! I love the colors and designs!! The flowers look amazing!! Absolutely STUNNING cards! WOW! Love them both so much! Neat and Tangled must feel SO VERY BLESSED to have you designing for them, Joni ... such a great technique! Thanks for sharing it with us! !